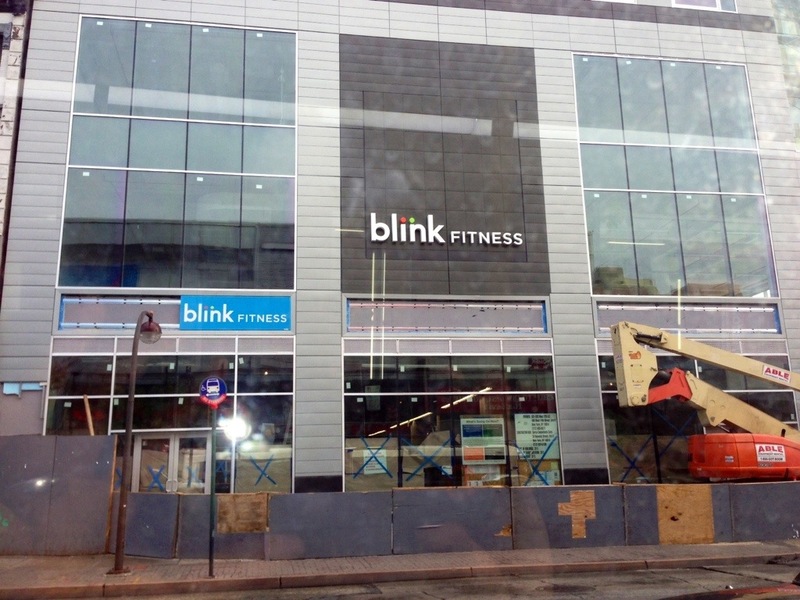 Blink Fitness signage up in Harlem, target opening day June 2013 | HarlemGal Inc. This entry was posted in 125th Street, business, commercial real estate, Frederick Douglass Blvd., Harlem, Harlem blogs, Harlem businesses, health and wellness, New York, New York City, NYC, personal care and tagged 125th street, 301 125th Street, Blink Fitness, Changing Face of Harlem, documentary, Entertainment, Equinox Fitness, film, Harlem, Shawn Batey. Bookmark the permalink. I was bummed that this wasn’t a regular Equinox. We have lots of low end gyms here (planet fitness, NYSC, YMCA) but nothing at the higher end. why would all these gyms want to compete for the same customer? We could use one higher end option. NYHRC, Crunch, or 24hour Fitness would have done well in South Harlem.